As the Supreme Court's Constitution Bench continues its unusual consequential hearing on the question of reforming the Collegium to recruit Judges on November 18, the doubts and misgivings expressed by the bench as well as the counsel on November 3 and 5 on the scope of reform itself stem from interpretations placed on the judgments in the Second and Third Judges cases. Do the judgments in these cases, decided by a larger bench, give scope for reforming the collegium by a smaller bench of five judges? It was because Justice Khehar, the presiding Judge, emphasised the need to reform within the broad parameters laid down by the previous nine-Judge benches in these cases. One question is whether it is permissible to expand the area of consultation, so that the Collegium can be asked to consider the inputs of an advisory committee comprising the key stake-holders, such as representatives of the bar, the civil society, retired Judges etc. On November 3, there were divergent views among the counsel who made submissions on this question, and the bench did not reveal its stand on it. On November 5, the uncertainty continued with no clarity on whether the Court will be within its competence to lay down a guideline constituting a committee of consultees, with which the Collegium could seek guidance, which is not binding on the Collegium. The answer to this question perhaps is available within the October 16 judgment delivered by Justice Madan B Lokur. In it, Justice Lokur refers to the AG, Mukul Rohatgi’s reliance on an interview given to Frontline (to me) by the former CJI, and the presiding judge and author of the Second Judges case, the late Justice J.S.Verma in 2008 to suggest that even he favoured reconsideration of the judgment written by him. Rohatgi found my interview with Justice Verma useful to persuade the bench that there is indeed a case for referring the matter for reconsideration of the 1993 judgment by a larger bench. That he was not successful in doing so was due to the different interpretation placed by Justice Lokur on the same interview. “My 1993 judgment which holds the field, was very much misunderstood and misused. It was in that context that I said the working of the judgment now for some time is raising serious questions, which cannot be called unreasonable. Therefore, some kind of rethink is required”. According to Justice Lokur, the misunderstanding which Justice Verma referred to in his interview to Frontline, is not due to any lack of clarity in the decision rendered by the Supreme Court in the Second Judges case, but due to the discomfort in the “working of the judgment”. “The Constitution of India is a sacred document and not a Rubik’s cube that can be manipulated and maneuvered by the political executive...to suit its immediate needs”. Justice Lokur again relied on the same interview given by Justice Verma to Frontline, to hold that the Constitution is a flexible document, and neither the President nor the CJI is precluded from taking the advice of any person, lay or professional. As someone who recorded that interview and transcribed it, I was amazed, after reading Justice Lokur's judgment, that two different interpretations of that interview were advanced during the hearing. As the CJI, Justice Verma was the head of the Collegium beween March 1997 and January 1998, and the opinion in the Third Judges case was delivered after his retirement. It was clear that he did not find the 1993 or the 1998 judgments as limiting the scope of consultations by the CJI to only the Collegium members. More important, the Bench should use this opportunity of consequential hearing on collegium, to open the collegium records between 1993 and 2015 to public scrutiny, and not wait for 30 years to expire, to release it to the archives, as suggested by some counsel. That will be consistent with Justice Verma's views which favoured release of his correspondence as the CJI to the public scrutiny. In fact, I am somewhat puzzled by the headline in one of the newspapers, which said, "SC throws open collegium system to public scrutiny". Nothing of that sort has happened yet. The SC has only invited suggestions for reform from the public. It may be unusual. But by itself, it does not suggest any indication of willingness to carry out drastic reform. The invitation to the public, to make suggestions, is an after-thought, to meet the criticism that the bench has chosen to consider only the views of a select few counsel, that is, the legal eagles in the Supreme Court. 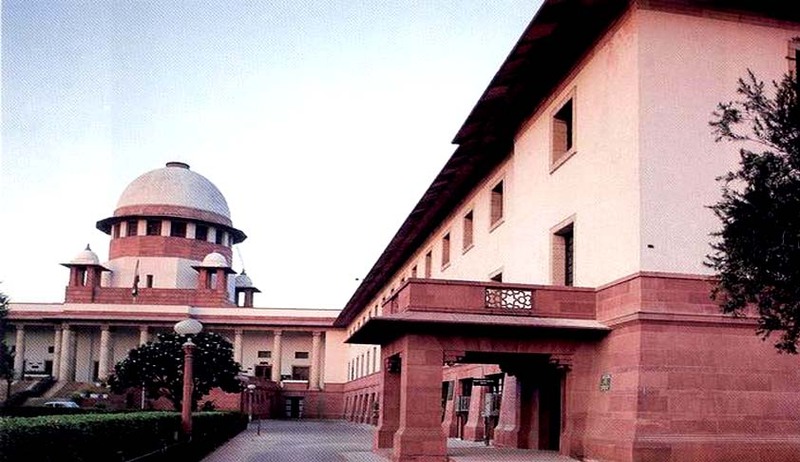 A genuine scrutiny of collegium is possible only if the minutes of the collegium from 1993 to 2015 are made available to the public or to scholars. After all, what justification can be there to keep them under wraps for 30 years, if the contemporary records of the collegium, after the proposed reform under the category of transparency, are to be made available to the public under the RTI or on the website? V. Venkatesan is the Associate Editor with Frontline. This Article is first published in Law and other things.